There’s an old saying that says you have to spend money to make money. With a little twist, this saying is very apt when it comes to building a Canberra carport, but we’re not suggesting using your carport to run a home business! Number one is the most obvious way that a Canberra carport can save money and that’s by protecting your car, cars or other vehicles from the elements. A car that’s at the whim of the elements can be damaged over time (sun, dust, rain, etc.) or damaged in a very short time, for example in a hail storm. A well-designed and built carport (that’s the only type we build here at Mr Carports!) will protect your car from virtually anything the elements can throw at it and be a godsend for you and your family during hot and rainy weather. A new Canberra carport will also help protect your precious vehicle from the physical damage of falling tree branches and other debris. A car in a carport will be better protected from accidental and deliberate damage than one parked on the street. You’re also less likely to have your car stolen when it’s parked in a carport than when it’s parked on the street. 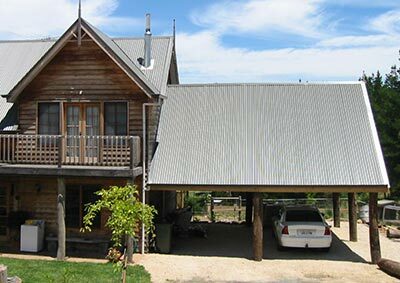 A Canberra carport can in some instances save you money on insurance premiums. Some insurance companies offer incentives, in the way of cheaper premiums, if your car is not left on the street for the reasons mentioned in point 3. There is, of course, another way you can save money with a new carport and that’s by getting it built by Mr Carports. As well as designing and building the best quality carports, we also offer great prices. What’s more, our experience means we can guide you on how to get the best carport for your Canberra home, while at the same time spending the least amount possible. Ready to save? Then phone Mr Carports on 1800 557 782 or contact us via the website.